Around 60 of us attended the August meeting with groups roped in to add ekes & inserts to the colonies. The only hive showing a dead varroa mite drop of more than 5 a day after a week was the polystyrene hive which was encouraging. Apiguard & Ambrosia sales went well (note we have now sold out of Apiguard). The second Apiguard application was done on the 10th Sept - thanks Claire! An interesting find was that Apiguard can melt in the hive in high temperatures as we have experienced lately! September is the month for feeding: standard theory has all feeding done by the end of the month, but the autumns have been bee-friendly lately & so colonies can be left to fill up for longer. My bees are enjoying the ivy as their winter stores; I’ll feed early in October to boost the weight if needed. But some beekeepers prefer to feed strong syrup [2:1] or Ambrosia early to prevent their hives filling up with ivy honey which granulates very hard. In mid October the bees in a brood & a half arrangement [only National or WBC] will have the half box moved under the brood to enable the winter treatments to reach the brood easily. Queen excluders should be out. The net result should be 35-40 pounds weight in stores for winter consumption for the reduced population. Here we are again, show time! October will soon be here and with the warm weather this summer I expect most of us with bees will have wonderful honey to enter this year. With an ever growing membership, entries in the show should be increasing. This is not so however. Last year we had only 31 entrants. If that was repeated it would be only a quarter of our members, or less, as we have lots of entries from other associations, who incidentally win a lot of our silverware! So come on all, find something to enter and help to make the show a continued success. It's a great buzz to have entries in the show, especially if as a beginner you get placed above one or two of the "regulars”. Best of luck and remember 31 entrants is not an option! You can get the Schedule for the DDBKA Honey Show 2016 HERE. Have a try at some of the classes. And remember, DDBKA members can enter Open as well as Members’ classes. But do read the regulations carefully. They may seem picky, but it leads to fairness for all. The closing date for entries is 15th October. Chris will send you the stickers for exhibits in the s.a.e. you must enclose with your entry form. The weather is getting to it & it needs repair. A 'plastic', corrugated covering is being considered. Can you help? We need volunteers to actually carry out the work. Mary is again running a course for anyone who would like to do the Basic Assessment. There is no writing! You will need to open a hive & talk about what you see and answer questions on general beekeeping, swarming and diseases. 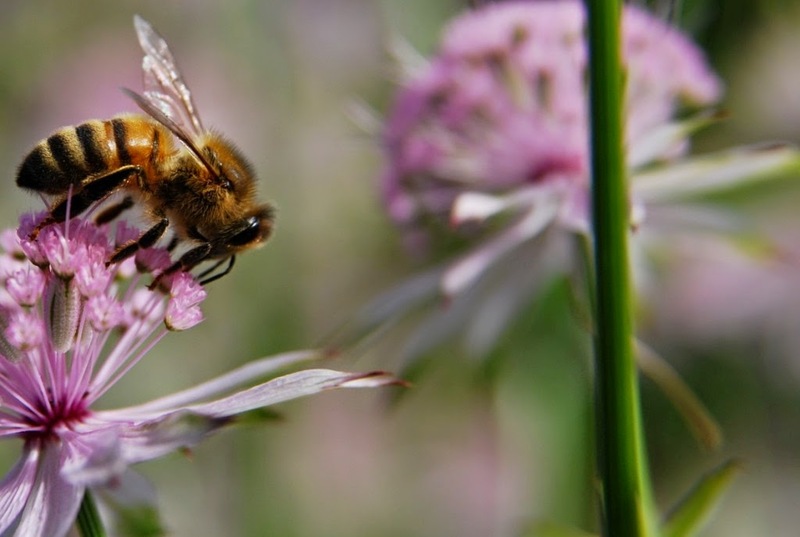 This course is open to anyone who has kept bees for two summers and the winter in between. There is more detail in the application form available here. Please contact Mary at the meeting to find out more. Also to ask about a BBKA Module 1 study group this winter. The syllabus is an extension of your Basic pass! Closing date for November Exam Entries Any member considering sitting a Module exam on November 10th must have their entry form signed by Jackie (exam secretary) and with BBKA by 30th September. EFB has been confirmed at Wingham. If your apiary is registered on Beebase you will have been notified if it is within 3km of the outbreak. So, please make sure all your apiaries are registered.